Today was baking and grocery shopping day! Small problem with that is I had no idea, until last night, that it was a PD day so my Kindergartener didn't have school. Totally and completely slipped past my radar - I won't be able to get away with that next year when I'm back at work or she'll be coming to work with me. So I had an extra kid shopping and baking - slowed things down a bit but I still got lots done. The house just got a lot messier. Man do I hate doing all the dishes that come along with baking - how old do kids have to be before they can actually do dishes (without causing water damage in the process)? I've always been more of a cook than a baker. But once you give up sugar and processed foods (i.e. Betty Crooker cake mixes and icing) you have to start doing a bit more of it if you want a treat once in a while and something for the kids to snack on. I actually think I am enjoying baking more than I used to. Guilt used to be my baking companion - watching me add sugar, corn syrup, butter, oil. But now that my ingredients are healthier I don't feel as much guilt. I'm actually excited for my kids to like it versus already planning how I'm going to hide it from them.........and me. My 5 year-old really enjoyed this bread.........she was begging for more. Success. 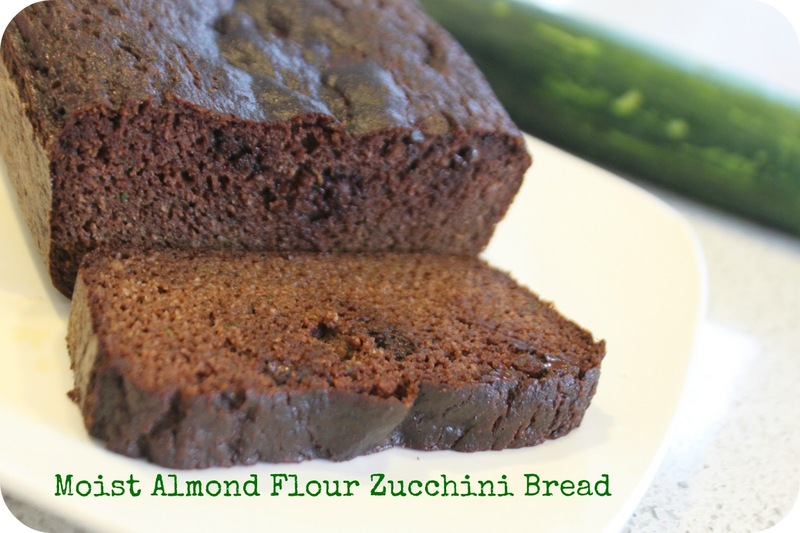 It is very low in sugar, wheat-free and it has zucchini in it. And the almond flour gives it some protein. 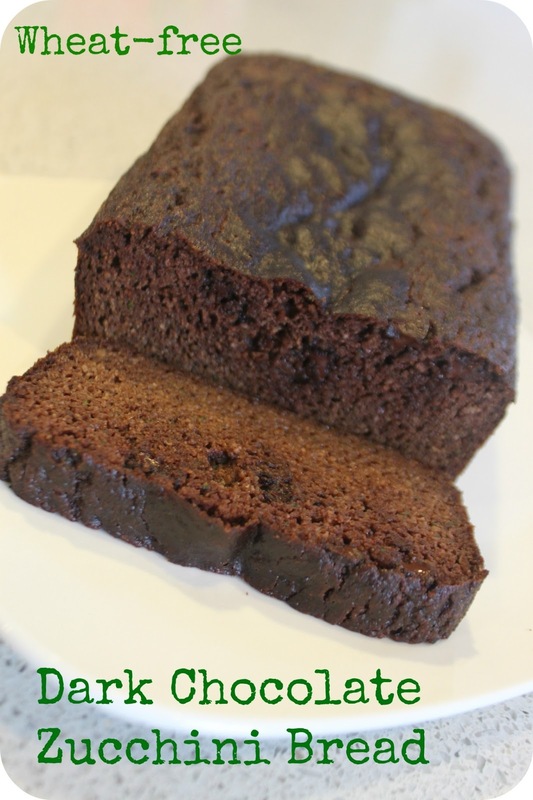 If you like this you will also love my banana bread recipe..........its awesome (I also made two loaves of that today - seriously I washed a lot of dishes). Grease a loaf pan (I used butter on a glass pan and it didn't stick at all). Combine almond flour, cinnamon, cocoa and baking soda. In a separate bowl, beat the eggs and then add the water, vanilla, agave and shredded zucchini - mixing thoroughly. Add the wet ingredients to the dry ingredients until just combined. Fold in chocolate chips or place on top and then just gently push/fold in so they are covered. Bake for 45 minutes or until knife comes out clean in the center.